Compared to the nearby culinary capitals of London, Brussels, and Paris, Amsterdam certainly flies under the radar when it comes to comestibles. Sandwiched between countries with especially distinctive cuisines, its own local culinary traditions are widely unknown. Traditional Dutch fare consists of hearty comfort food to warm one's bones in the northerly climate; unsophisticated but also unpretentious, it's an excellent antidote to the cold, wet days that prevail in some seasons. Here are some of the best restaurants to sample authentic Dutch cuisine in Amsterdam. Located near the popular Vondelpark, Hap-Hmm's homey interior and its menu of unfussy, classic Dutch dishes make for a perfect pair. Fill up on specialties like beef escalope in an eetcafé atmosphere, then take an after-dinner stroll in the park. Moeders is a popular, subtly upscale take on traditional Dutch cuisine, praised for meticulous preparations that still won't break the bank. Their mix-and-match prix-fixe menus offer flexibility for an affordable price, as well as a meatless entree; their "Hollands Glorie" dessert sampler features the best of old-fashioned Dutch desserts. The Pantry offers the most variety of the five restaurants, so invite a party of friends and sample all the dishes that fit for a tasty overview of Dutch cuisine. All of the classics are represented, from erwtensoep (split pea soup) to stampotten and even satay, which was introduced into everyday Dutch cuisine from the Indonesian colonies. Various locations; see website for a complete list. Stamppot, or pot hash, is a quintessential Dutch dish similar to British bubbles and squeak, and this seasonal street-front vendor doles out stamppot by the scoop to diners who want a solid, hearty meal on the run. 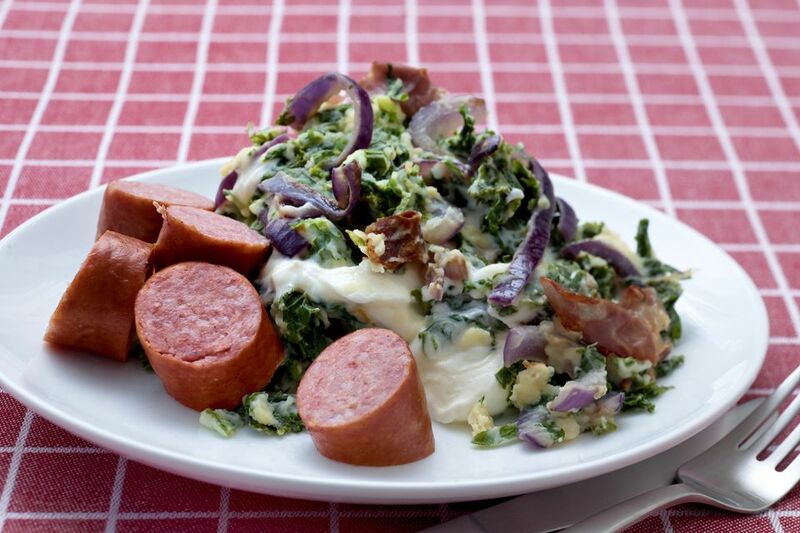 Varieties include the traditional stamppot boerenkool (stamppot with curly kale) and hutspot (mashed potatoes, carrots and onions). In the summer, the stand transforms back into the ice cream vendor Ijscuypje. Hofje van Wijs, a coffee and tea specialist established in Amsterdam in 1792, added a traditional Dutch menu to their repertory only 218 years later in 2010. Van Wijs now serves up seasonal specialties, like spiced stews, to compliment their rarefied drink menu and excellent assortment of cakes and pies.